These two black and white photographs show a teepee in Satana, Kansas. The structure is located in the city park along U.S. Highway 56. 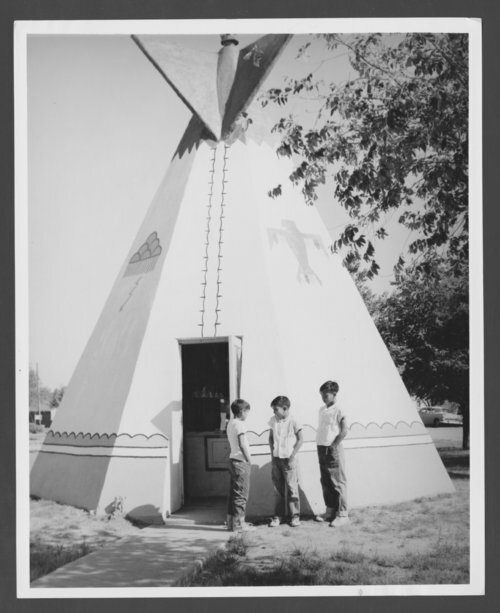 The first image shows three boys of possible Mexican-Kiowa descent in front of the teepee. In the first year of its opening, 3,000 visitors came to the teepee.